Would the thread be somehow less informative if the updates were placed in the first post instead of the second? I have bee tossing around that idea for a couple days now. When I get a chance I will switch them around. I wish I could add another editor to the spreadsheet post. The change could better for some. When I open a thread it is only the new posts and in reverse order (except for the original post (post zero). So it is better if the original post is an intro or is packed with info/links and not packed with large images. This also reduces the download streaming requirement at my end - and on the website. And probably try what I've been doing and have all the images in an album like on imgur/flickr or some sort. These, according to the series name in this datasheet, are LiCo cells, which might make me look like an idiot for doing this. Thanks, I've never seen those before. Interesting alternative to the pouch-cells that Apple seems to have switched over to. What is the problem charging them in that charger? The datasheet lists 3.7V nominal, 4.2 charge termination. 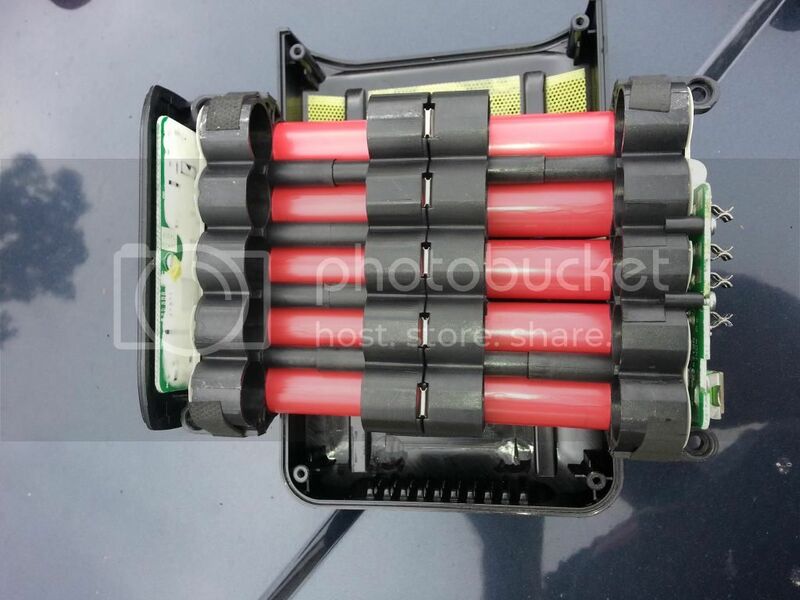 I guess its a pretty unconventional look, seeing these cells in a charger that doesn't have the 103450 size in their supported list :P.
I went ahead and switched the 0 post and the #1 post, tell me if you guys like this better. £3.10 from Ebay including delivery! Light green colour, all measured 3.9v. One cell was slightly scraped during removal and the metal beneath the casing is exposed. If I wrap it in packing tape would that render it safe for use? I will add this to the OP. Great forum for by the way! Got 3 packs from Hagg911's WTS thread, delivered in person by ruffles. I would totally hop on his sale again, but I already have TOO MANY batteries! However I do suggest you to get packs from him if you're looking for a pack to pull from. After 30 minutes shuffling through the battery packs at our local used PC shop, I only found two packs that seemed new enough to be interesting, so I paid $1 each and took them home to tear open. 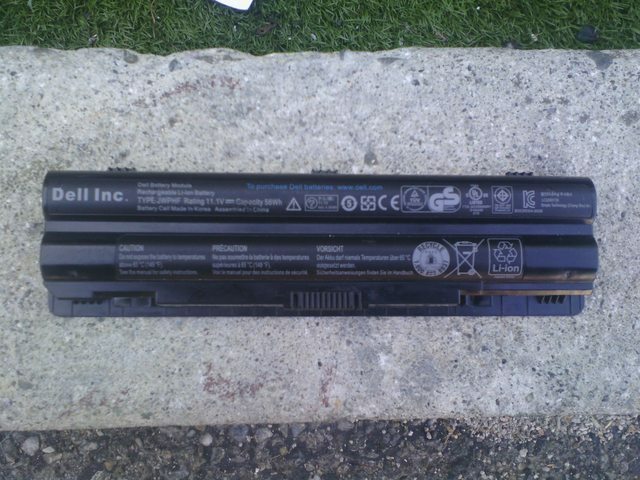 The first has the ASUS part number AL32-1005. Inside I found pretty much what I was expecting. 2,800 mAh cells, specifically, LGDC118650s in ugly greenish brown wrappers. Next up, an HP TD06 pack. Most of the TD06 packs in the bin had a 10.8v nominal voltage. This one had a 11.1v nominal voltage, and so I assumed it was newer. 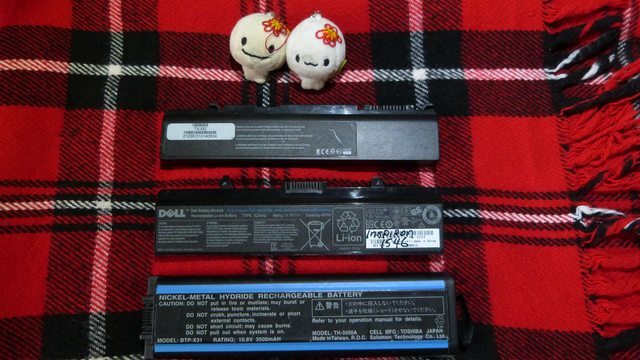 The pack was made in china with Korean batteries, but which kind? 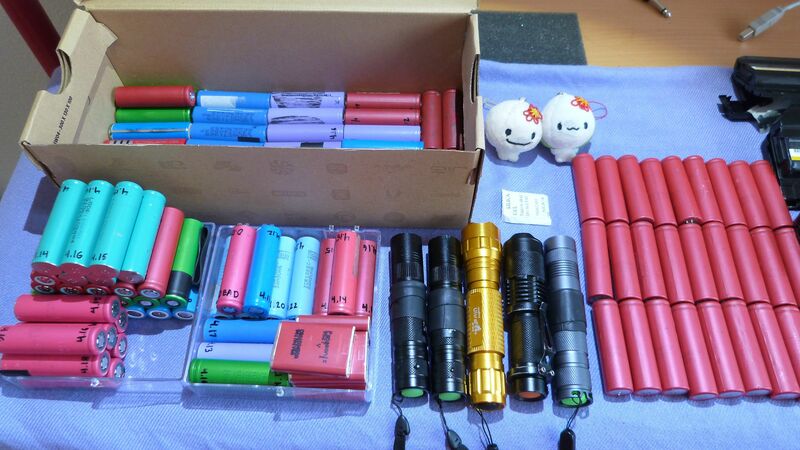 Inside, I found 2,800mAh cells, as expected. Specifically, they were lavender-wrapped Samsung ICR18650-28As)%20UK.html, which have a 4.3v termination voltage. I’m leaving the circuits intact for now, because I want to see if I can read out some information from the battery management boards and see how that relates to the voltages, capacities, internal resistance and self-discharge rates of the individual cells. I’ll update the blog posts (linked to above) once I’ve got that info. How can you access the Smart Battery firmware? TI eval kit, or some other way? I’m shooting for some other way using an MCU but no luck so far. It should be doable though. I’ll post something when I’ve made demonstrable progress. I’ve posted another pack teardown. 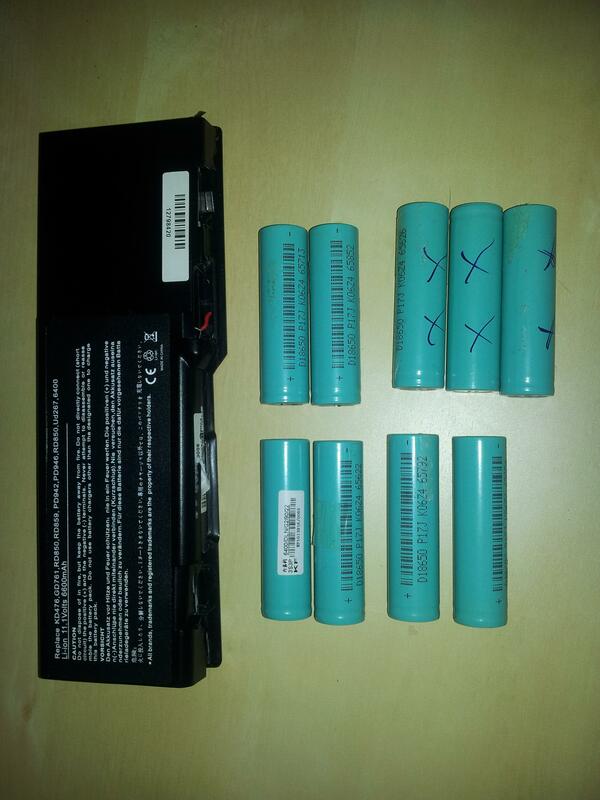 This one is a ACER AS11B5E battery pack I picked up on eBay. This pack is a bit unusual. Its an internal pack, but unlike most internal packs, its made with 18650s, rather than pouch cells. One benefit is that its really easy to get in to. I just had to peel some tape off the thin shell. 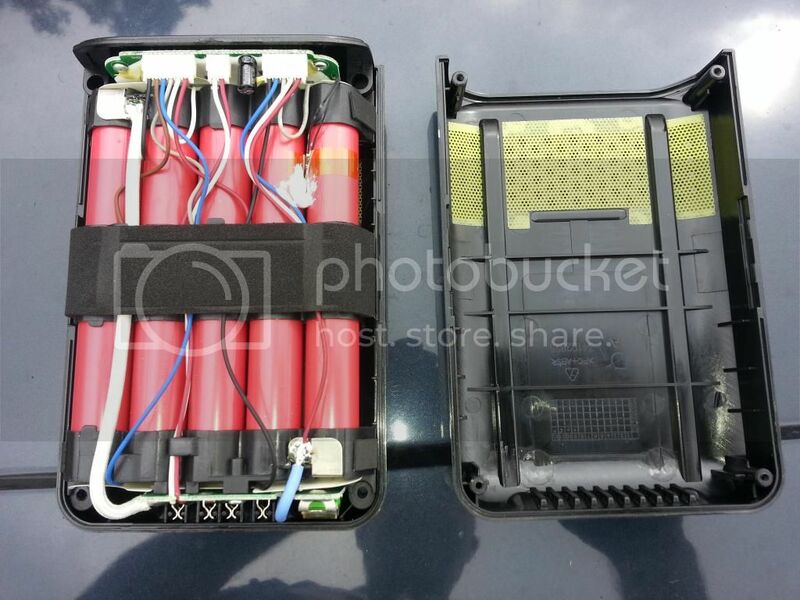 Inside, I found eight Panasonic NCR18650A 3,100 mAh cells. Not bad for a $22 new-old-stock pack! I decided to give it a slow charge to 12V at 200 mA, which didn’t take long. Overnight, the voltage settled to ~11.6v. I am taking it up to 14.8v now at 660mA, which is probably where I’ll leave it until I manage to read out the pack info over SMBus. Then I’ll separate the cells and do a couple rounds of tests. Thanks EAS, I will get the OP updated asap. I need to figure out how to interpret the manufacture date. I also want to figure out if I can get the individual voltages for each parallel bank, and also how to deal with string data, like the manufacturer and serial number. Once I do, I’ll clean up the code a bit and share it. sorry i missed this, i will get everything updated. 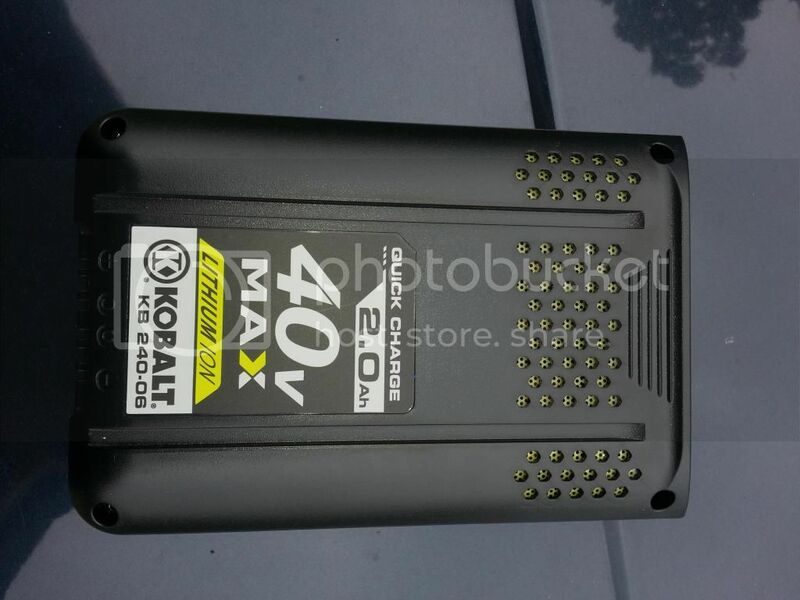 A friend of mine, not a member here, but into flashlights none the less sent me these pics of a 40V Kobalt battery pack that HE found in the Lowes recycle bin. It was only half full with only 10 cells. The cell info is scribbled onto a piece of paper on the desk. 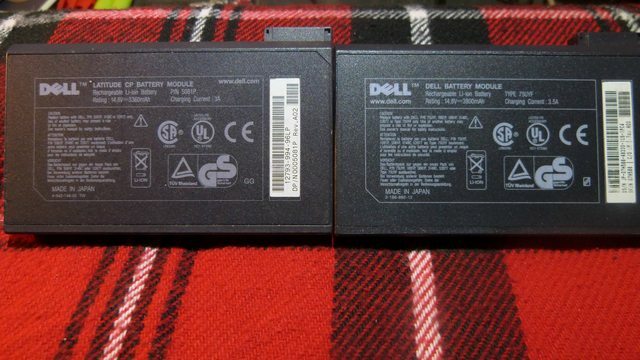 The pack claims to be 2.0AH, that would mean those are 2000mAh cells. He claims there is also a 4AH version of this pack, so that one would be full with 20 cells. Pretty disappointed with the Ryobi, pack looked new. Downlinx reported the following pack to produce Sanyo double red while gauss163 indicated panasonics. I got Sanyos in the first one and Sony's on the second. Lost three high drain cells due to clumsiness! Thanks for the patience everyone, too a bit but everything has been updates. Interesting, it would seem that Dell rounded up a bit on that Wh rating. So the pack is 11.1V 5200mAh pack with 6×18650 cells in 3s2p. 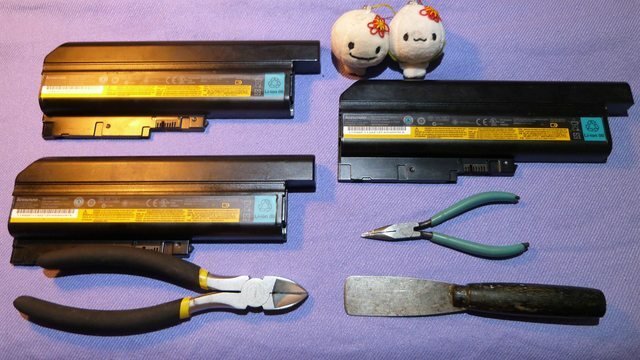 It is to replace the Dell J1KND, 9T48V and W7H3N. The 18650’s in them are purple in colour. The marking is ASO, so guessing they are ASO branded. 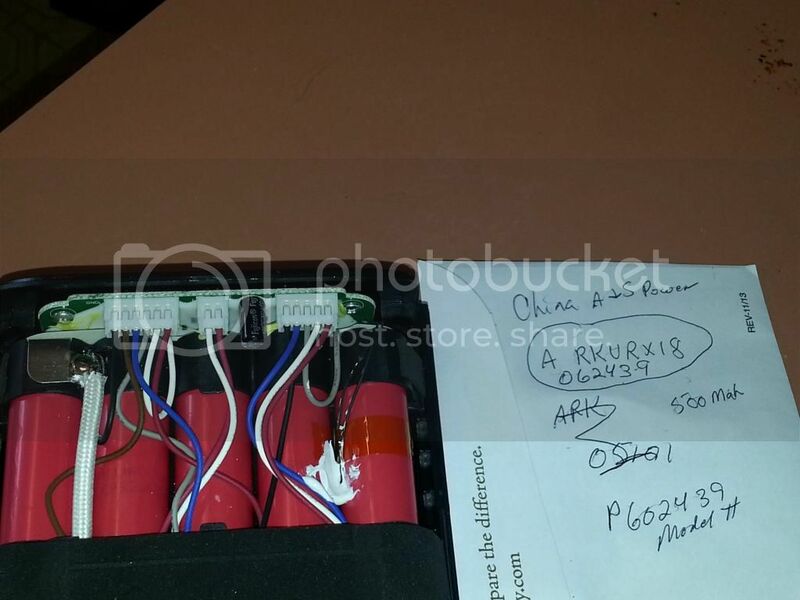 Full marking is ASO GH1G221EF 809551 (this last part varies and appears to be a serial number). Below that marking is SZN, so another Shenzhen company I guess. Can’t find specs but basing it on the specs on the pack, 3.7V 2600mAh. I don’t think it’ll do more than 1C constant discharge, the generic aftermarkets ones rarely do. Not bothering to test these as I’m not keeping any these. i originally thought those were bak cells. 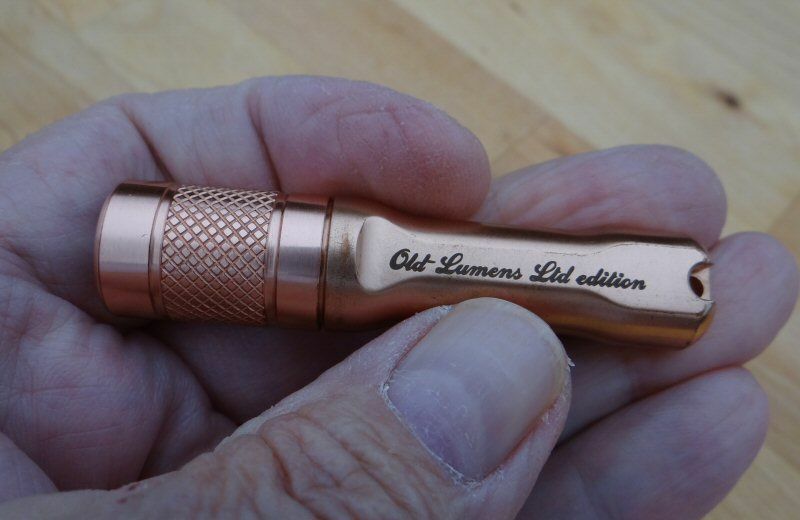 now i know.they are just fine for normal flashlight use and even did ok in our custom box mods we build. i wound up with several hundred of these cells from new but obsolete packs bought by some school and later sent to us for recycling.not one dud and every last one were at 3.81v out of the sealed packs.not used to seeing that sort of consistancy in generic stuff. Bought this new open box Acer AS10I5E pack on Ebay for $19.95 free s&h. Received it and pack date was 7-2012. Inside were 8 NCR18650A green Panasonic 3100mah cells. Voltage was 2.20v for all eight cells. In process of charging 4 cell for 30 minutes and voltage is 3.29V. Repeating on the second set as I am writing. 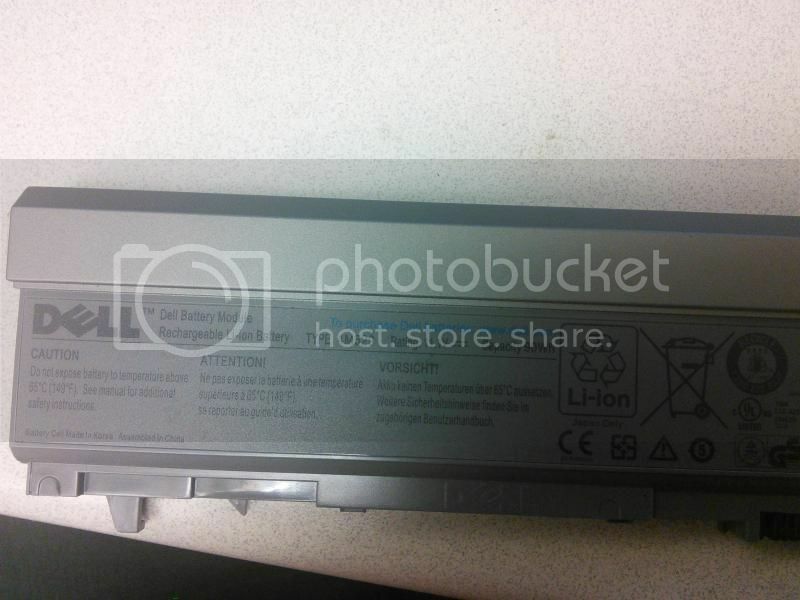 Looks promising for $2.50 per battery! 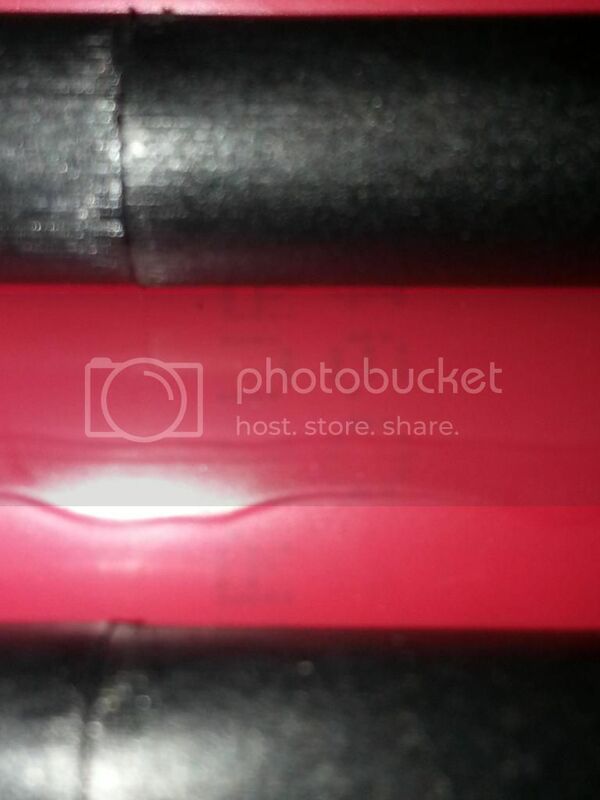 Update…did a discharge 1.5A to 3.0V and checked 2885mah with the hobby charger. Do figure that at 2.5V minimum discharge would be close to rated capacity. 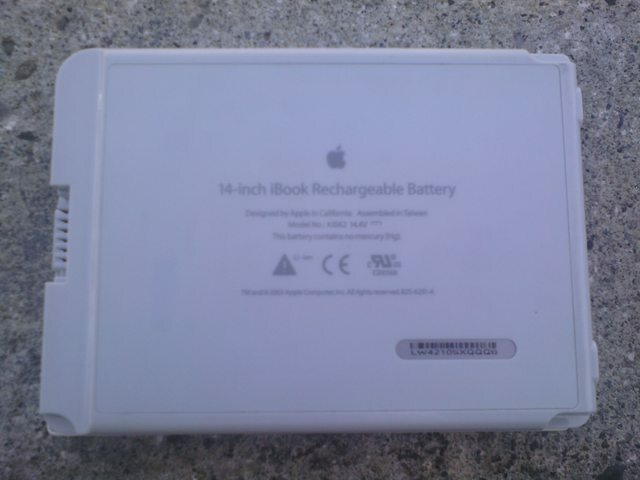 The battery pack was purchased from ebay seller INANDOUTELECTRONICS. Many members here purchased packs from this seller and have been pleased. I tore into some DELL XX326 11.1V 60WH packs. I started by trying to read data out of them with PackProbe. Only a few yielded any data, and what they gave was patchy. I pulled open the rest to see if I could figure out why they weren’t working. I could tell that all of them had one or more bad bank of cells. I could also tell that some of the spot welds had broken at some point, perhaps while I was twisting the packs to get the case open. When I checked cell voltages in situ, I found that all of the packs I opened had bad banks. Some worse than others. -2.69v?!? That can’t be right, but the polarity on the multimeter is right. I looked at a few more packs. Found some more reverse polarity cells, but not with as much potential. A bunch of flat cells, and when I tore out individual cells, I found 0v cells paired with ~3.5v cells in the same bank and more broken spot welds. Not quite sure what is going on, other than these being lousy packs. 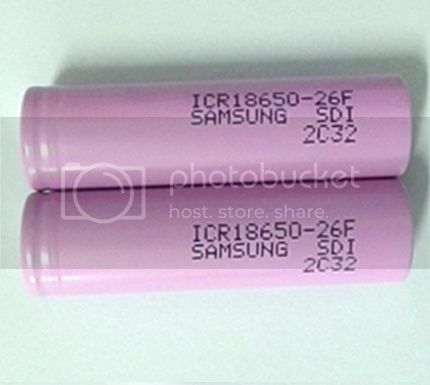 Out of 18 cells from three packs, I only have 3 (Samsung ICR18650-28As) that are anywhere worth charging. Update: The three cells I charged are pretty hammered. When charged to 4.2v and tested on my Opus, they all put up about 1,720 mAh discharge capacity at 500mA drain. These cells are designed for 4.3 discharge voltage, and according to HJKs tests)%20UK.html, when charged to 4.2 they give up about 8% of their capacity, which would put them at ~2,600 mAh from 4.2v when new. Internal resistance as measured by my Zh-yu battery analyzer from Fastech is ~75mOhm (for comparison, on the same rig, some pink samsungs pulled from one of those $12 Acer packs with a dozen or so cycles on them now come in at ~60mOhm, and some Sanyo blue top from a 110-cycle Lenovo pack I got from Hagg911 measure 55mOhm).